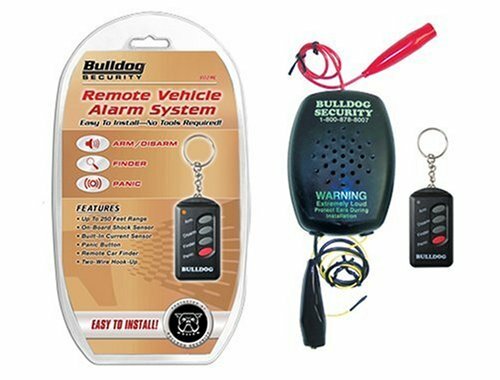 Do-It-Yourself Bulldog Model 802 Remote Alarm System, One 4-Button Remote Transmitter, On-Board Shock Sensor, Two-Wire Hook-Up, Built-In Current Sensor, Full-Time Panic Button, Remote Car Finder, Range Antenna Up To 250 Feet. 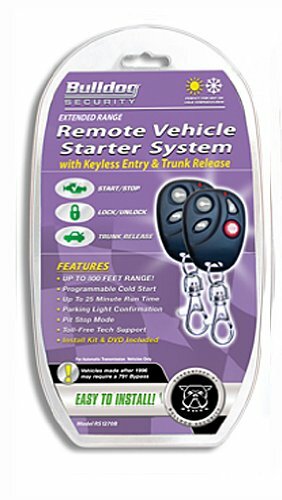 4 button extend range remote - can start vehicle up to 400 feet away. 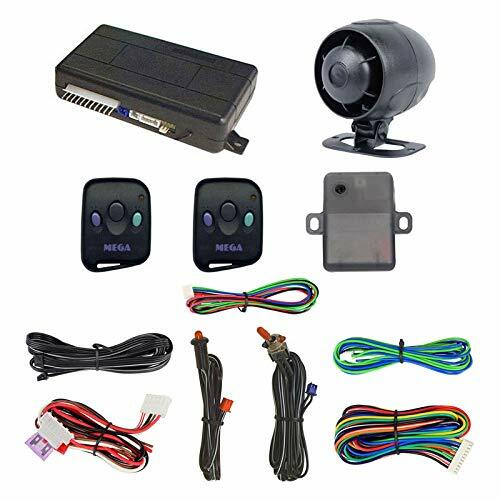 Remote lock and unlock your doors, pop your trunk and programmable runtime to 15 min. Auto cold start (start car at set temp.) Dedicated start and stop buttons. 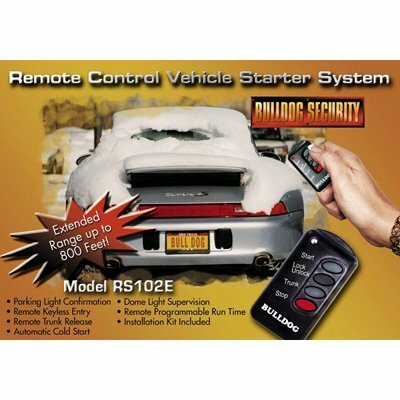 The Bulldog Security RS-1100 Remote Starter with keyless entry and trunk release has a 4 button O.E.M. look-a-like transmitter with a range of over 400 feet. All the relays are built in for door locks, trunk release, dome light, and parking light so no additional relays are necessary. 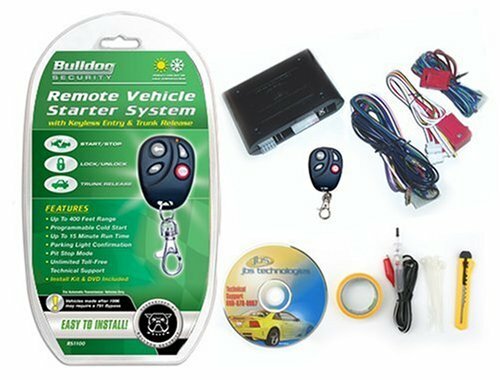 With a dedicated "START" and "STOP" button there is no confusion on how to start or stop the vehicle, and it also features programmable run times of 5, 10, or 15 minutes. 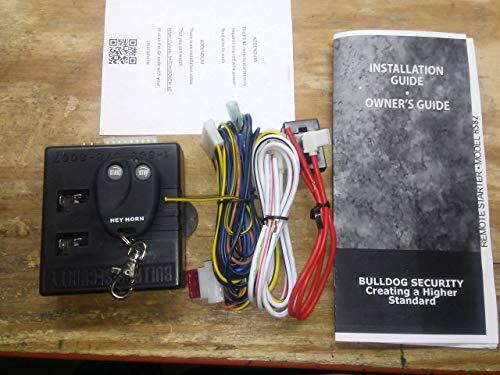 Additionally, the ability to program it for "cold starts" allows you to set a certain temperature to start the vehicle in cold weather from 400 feet away. The "pit stop" feature lets you to stop for coffee or the paper without turning off the vehicle, while protecting it from being stolen. Also includes an easy to follow do-it-yourself instructional DVD and 24/7 web site support.